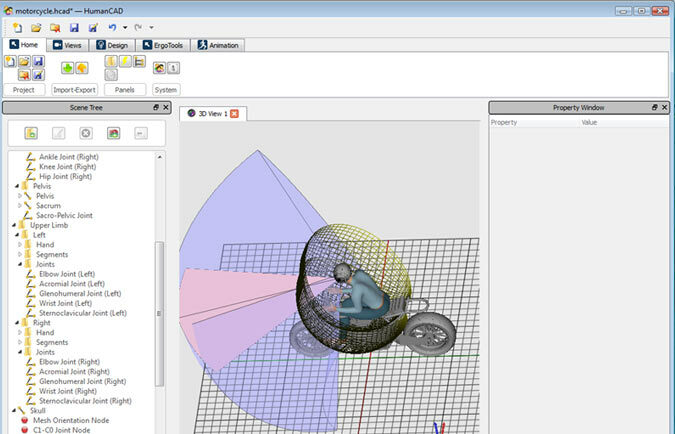 NexGen Ergonomics' HumanCAD human modeling solution creates digital humans in a three-dimensional environment in which a variety of ergonomic and human factor analysis can be performed. 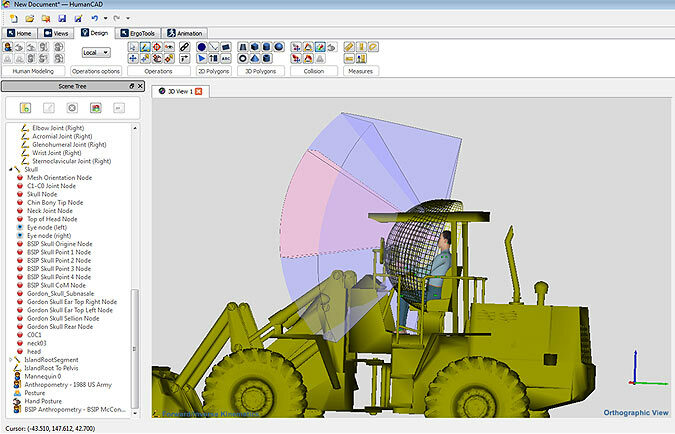 HumanCAD aids users with the design of products and workplaces by determining what humans of different sizes can see, reach, or lift. 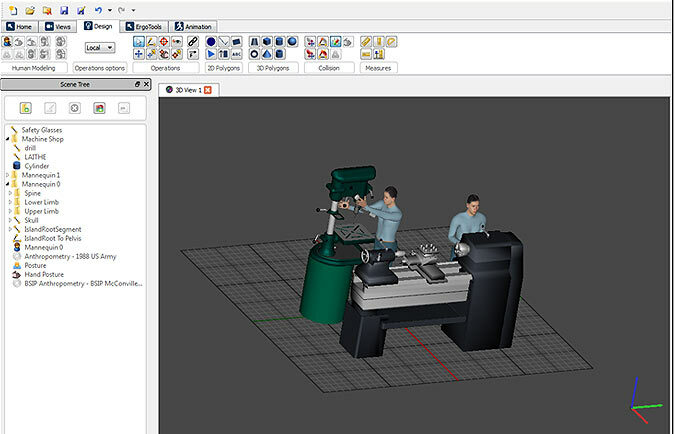 The new HumanCAD platform is our 5th generation and demonstrates our continued innovation that started in 1990 with ManneQuin, the world's first PC based human modeling solution and was followed by ManneQuinPRO and ManneQuinELITE. Thousands of users in various industries, government organizations, universities and consultants worldwide have acquired these human modeling solutions. HumanCAD includes a modular architecture that allows customers to purchase the modules they need. 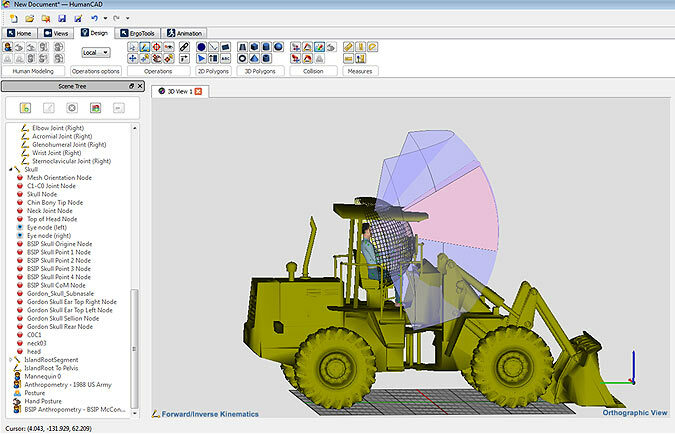 Included in all configurations is inverse and forward kinematics, digital human creation using a variety of libraries and databases, vision and reach analysis and much more. You can save your custom postures or anthropometries in these libraries for reuse. HumanCAD's ergonomic evaluation tools provide data on potential injury risk and postural analysis. 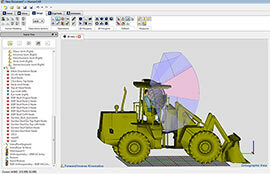 Other human factor tools aid in the determination of reach, vision, comfort and fit requirements. Click thumbnail images to see larger versions. 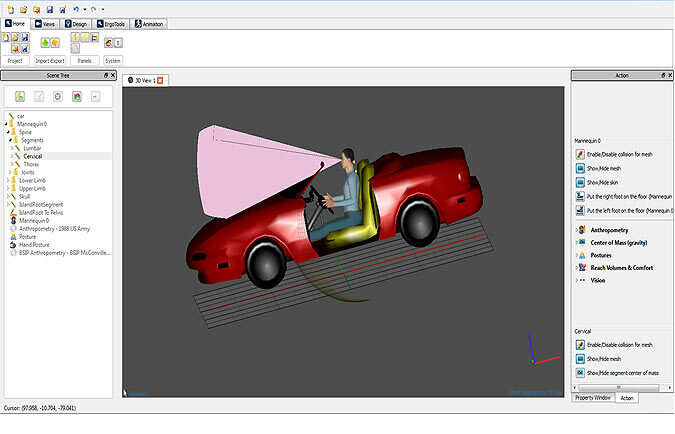 Anthropometry editor enables you to modify the somatotype of your virtual human model. Options include determining how much the digital human will be closer to an ectomorphic or more towards an endomorphic body style. Library of pre-defined mannequin body and hand postures. 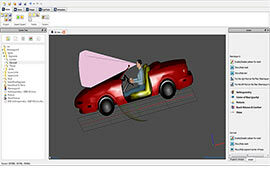 Users can add their own postures. BSIP (Body Segment Inertial Parameters) as defined by McConville et al. (1980) (on male US Air force soldiers) and Young et al. (1983) (on female US Air force soldiers). These methods elaborate more realistically segments' masses, centers of mass and matrices of inertia. File Import/Export support for DXF, FBX, OBJ, OSG, OSGB, OSGT, OSGX, IVE, and 3DS file formats included. IGES, STEP, STL and DWF (DWF file format only available for exporting) formats are available with the optional CADExchange module. The IGES v5.3 and STEP (AP203 and AP214) formats are supported. 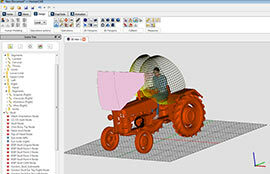 HumanCAD can assist in the design of a variety of transportation vehicles. You can easily create mannequins of various anthropometries to test your designs for reach, vision and more. 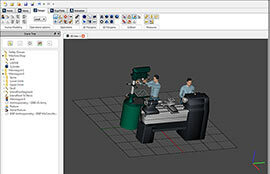 HumanCAD digital human modeling technology is an important tool in determining the human fit of products and workplaces before they are built. This includes looking at comfort zones for certain tasks. Click thumbnail image to see larger version. Click here to register for a HumanCAD 15-day trial. We will normally respond with your trial information within one business day. NOTE: Software trials are provided for evaluation only prior to possible purchase by those involved in the evaluation and decision process. We also provide them to students when the university has purchased the software and the trial is coordinated thru academic staff. HumanCAD is a registered trademark of NexGen Ergonomics Inc.
CADExchange, ManneQuin, ManneQuinPRO and ManneQuinELITE are trademarks of NexGen Ergonomics Inc.